Foreign Minister Shah Mehmood Qureshi arrived in Beijing on Monday to attend the Pakistan China Foreign Ministers’ Strategic Dialogue. 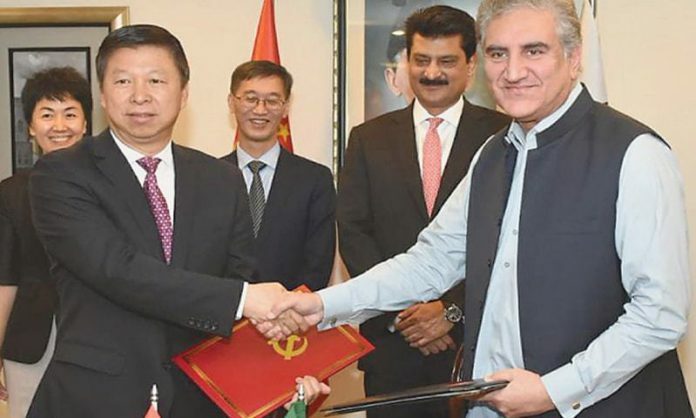 Chinese Ambassador received Shah Mehmood Qureshi from Pakistan to Yao Jing, Pakistani Ambassador in Beijing Masood Khalid and senior officials of the Pakistani embassy upon arrival in Beijing. During his three-day visit to China, Qureshi will participate in the Pakistan China Foreign Ministers’ Strategic Dialogue. They will discuss important matters of bilateral concern, including the China-Pakistan Economic Corridor. The foreign minister and his Chinese counterpart will also discuss the issue of peace and security in the region.